Hey guys! 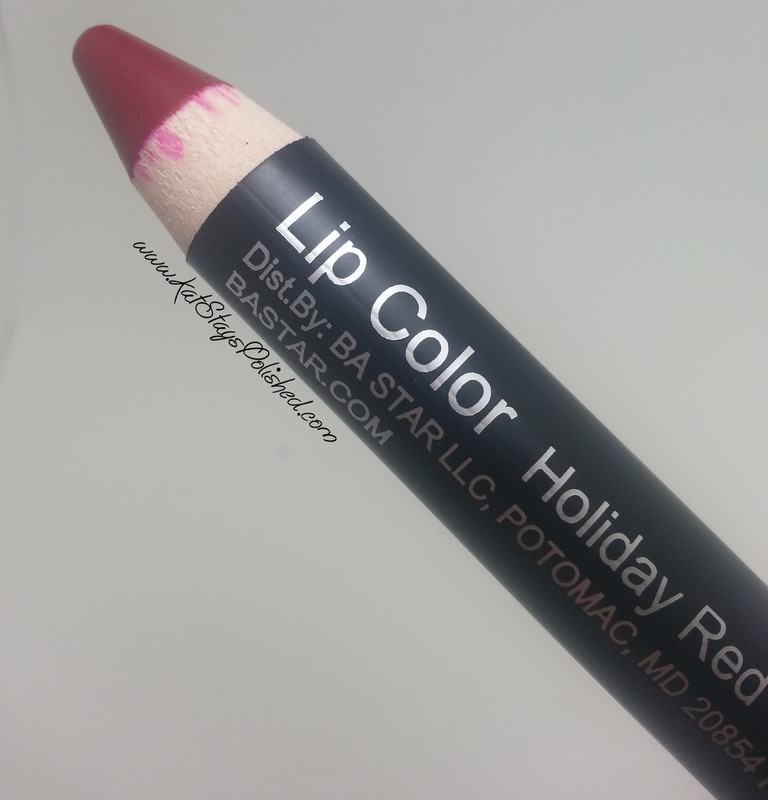 Today I have a review for BA Star's Holiday Red Lip Pencil. As you know, I've recently become obsessed with lip pencils because they are so easy and convenient for a quick makeup look. I wa so excited to be accepted to review this lip pencil. So, a little bit about BA Star. They are an affordable makeup company specializing in Cheerleader, Dance, and Competition Teams. The makeup is supposed to last all day long. We'll see how the lip pencil did! Here is the pencil! It is one you have to sharpen so we'll see how long it takes to get to that point. 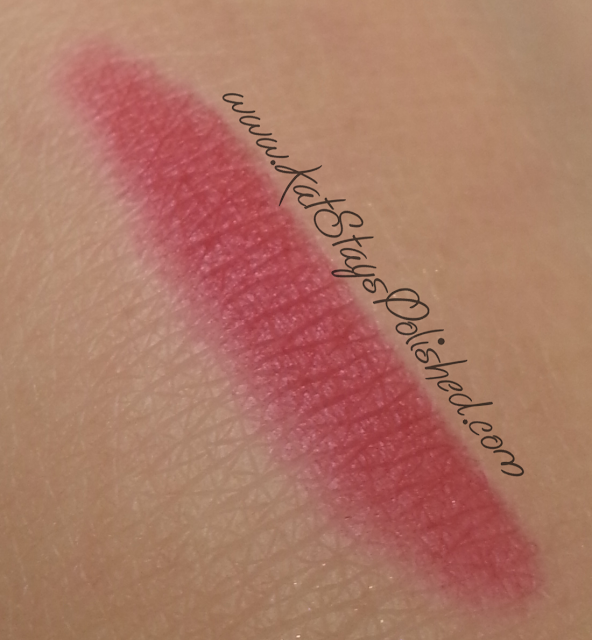 When I swatched it on my hand, it applied VERY sheer. I was worried about how good it would look on my lips. Application was really easy and smooth. It took a few swipes to get it to the opacity that I wanted but it wasn't cakey or thick. I also want to mention that this is a matte finish but it didn't really dry my lips out like some other matte products so. Before I show you what it looked like on my lips, I wanted to let you know that it doesn't "stain" and it DOES come off during eating and drinking. 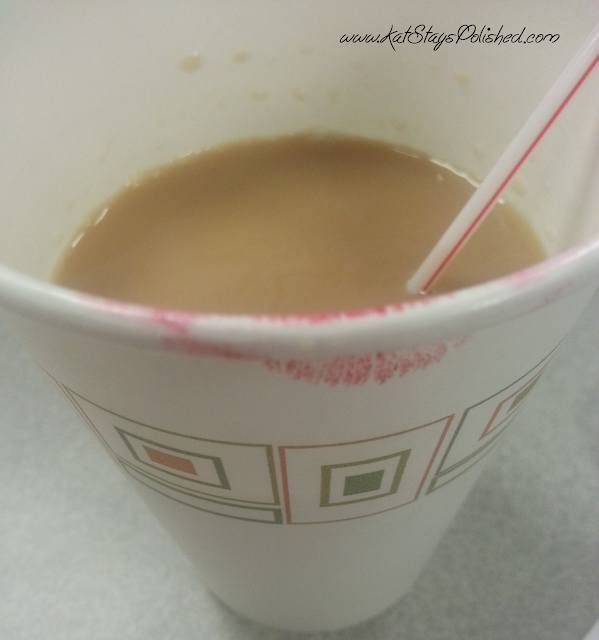 The good thing is, when I reapplied it after lunch, I BARELY had to touch it to my lips before it was good again. I only had to touch up the inner parts of my lips where it's easily rubbed off. I also want to mention that this comes off with 2 swipes of a makeup remover wipe. I am super impressed with this pencil and it may just become one of my go-to red lip items. 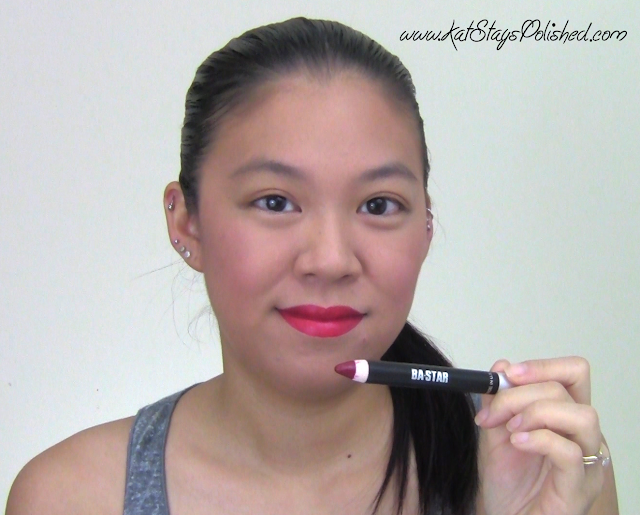 Here is the makeup look I had using this lip pencil. I kept the rest of my makeup super simple so that my lips would really pop. So, what did you think? 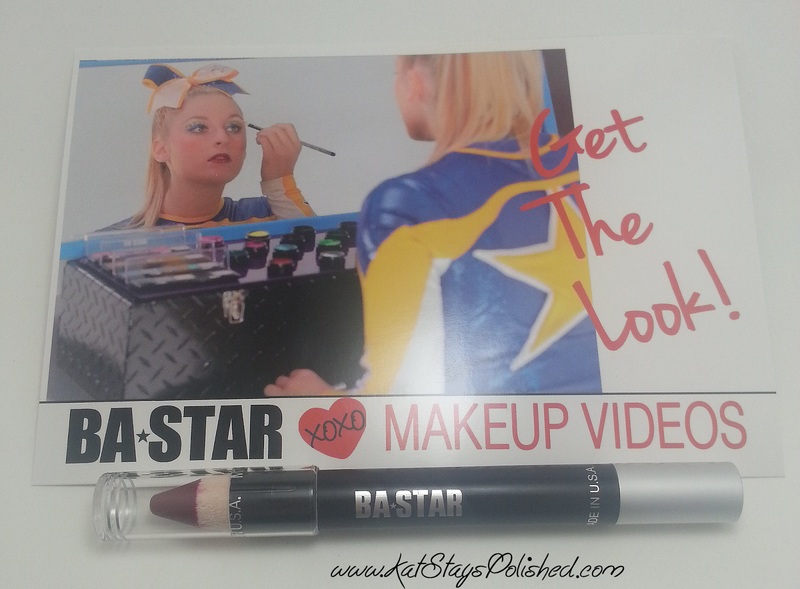 You can visit BA Star on their website see all of the makeup they have to offer. These lip pencils retail for $8.75 but if you use code BBLIPS you can get 50% off! Try it out! *Product was sent by BA Star through the Brandbacker program. All opinions are 100% honest and my own.